It’s true that our female bodies are superbly designed, and that gentle, natural birth is the best possible start. But birth is ultimately mysterious and unpredictable, and can sometimes take its own unexpected direction. For example, the peaceful natural birth that you planned with a midwife, in a birth centre, or at home, may become less safe because of extra risks for you or your baby, or a situation can arise that sends you clearly towards a surgical birth. 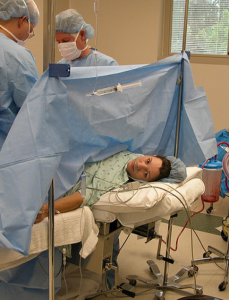 Or maybe you have known from the start that a cesarean is your best or only safe option. What can you do to make the best of these circumstances? How can you compensate for the labour and birth that you and your baby will miss, to a greater or lesser extent, when a cesarean is needed? And how can you address the inevitable ‘hormonal gaps’ for you and your baby? Cesareans and other maternity-care interventions can be necessary, and even life-saving, for mother and/or baby in some situations. However, in these situations, there will inevitably be a gap between what our bodies and babies naturally expect in this major biological transition, and what actually happens. Hormonal gaps occur because mother and baby miss significant and even vital processes. For example, if the cesarean occurs before labour onset (sometimes called a pre-labour, scheduled, or elective cesarean), mother and baby will not be fully ready for labour and the transitions of birth. The baby can miss important preparations for the enormous transition to breathing, including hormonally-driven clearing of the lung fluid, which all babies have in the womb. This significantly contributes to newborn breathing difficulties, which are 2x more likely following a prelabour cesarean, even at 39 weeks, compared to vaginal birth (see study below). Breathing difficulties can necessitate separation and admission to special care facilities, and mother and baby will miss being together during the sensitive hours after birth. Another hormonal gap for the caesarean newborn is lack of the ‘catecholamine surge.’ This huge in-labour increase in adrenaline and noradrenaline, the fight or flight or catecholamine hormones, activates the baby on every level as labour advances. The catecholamine surge also protects from low oxygen, further clears lung fluid, and ensures that the baby is wide-eyed and alert at birth, and ready to initiate breastfeeding. Babies born by cesarean and especially pre-labour cesarean, miss this activation and tend to be drowsy and not ready for interactions or feeding. For the mother, the processes of labour activate her oxytocin system, in both body and brain. Her uterus will be sensitive and responsive to oxytocin, and capable of the strong postpartum contractions that prevent haemorrhage. Oxytocin released in her brain also ensures that she will be calm and connected as she meets her baby for the first time. Oxytocin also acts on the mother’s brain reward centres, which are maximally sensitive at this time because of prelabour preparations. Her pre-labour preparations plus in-labour processes ensure full reward centre activation as she meets her baby for the first time. This produces the brain-based pleasure that is a critical part of bonding for all mammals, establishing irresistible brain pathways that will reward and motivate new mothers to give the dedicated care that all newborn mammals require for survival. 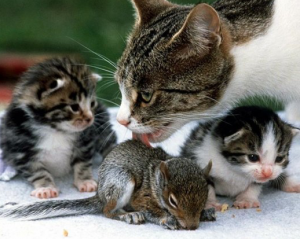 This process can be seen in mammalian mothers who adopt the babies of another species, if introduced during this biologically sensitive period. While human mothers can obviously bond with and love a baby that they have not birthed (or been with in this sensitive period) there can still be a hormonal gap in this ‘biological bonding,’ and the pleasure (’reward salience’) that the mother receives from her baby can be reduced, even into the future. How can we close these hormonal gaps for mother and baby? An ideal solution is to allow labour to begin naturally, then perform an in-labour non-emergency cesarean. This ensures that the baby has maximum readiness, and may reduce the risk of newborn breathing difficulties (see study below). 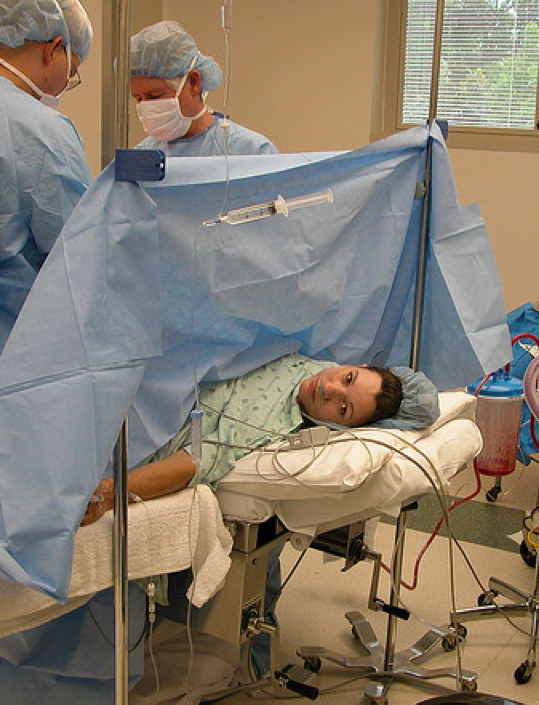 An in-labour, non-emergency cesarean is also ideal for maternal readiness, including maximising sensitivity to oxytocin in her uterus and brain. Ongoing, uninterrupted contact with the mother will help to switch on the baby’s ‘rest and digest’ system and ability to initiate breastfeeding. Because of the hormonal gaps, it is necessary to be patient and allow the baby to come to the breast in their own time. The new mother’s breastfeeding and attachment hormones can also be affected by a cesarean, and liberal skin-to-skin and breastfeeding will help this as well. If the baby cannot be placed on the mother’s chest, the ‘cheek-to-cheek’ position is recommended (see below). Any of these positions will begin to establish the biological bond between mother and baby. If this is not possible, skin-to-skin with father or partner is also valuable. If mother and baby are separated, whether routinely or because of illness, skin-to-skin contact and breastfeeding as soon as possible, and as much as possible, is still the magic glue! Closing the gaps: oxytocin and more oxytocin! Breastfeeding is Mother Nature’s back-up system. Breastfeeding releases oxytocin and other feel-good hormones that reinforce pleasure and reward for both mother and baby. Early and frequent feeding will benefit the new mother, switching on her pleasure centres and reinforcing the bond with her baby with every episode. Oxytocin released during breastfeeding also promotes wound healing and the immune system, reduces inflammation and has antioxidant properties, which are all beneficial in recovering from surgery. Oxytocin switches off stress and switches on relaxation and growth. Oxytocin will help you to relax and ease into new motherhood. Liberal skin-to-skin contact also activates the oxytocin system and, according to one study, reduces the chance of postpartum depression in the early months. Soft carriers can be used under clothing so that mother and baby are skin-to-skin most of the time. Skin-to-skin is an ideal way to close hormonal gaps for the weeks and even months after a cesarean, and is particularly important if formula feeding or breast pumping. In summary, a cesarean birth creates significant gaps between the biological expectations for mother and baby and their experiences. 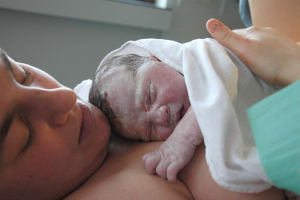 Mother-newborn skin-to-skin contact, beginning as early as possible after cesarean birth, will initiate and build the biological bonding that mother and baby may otherwise miss. Early and liberal breastfeeding is Mother Nature’s back up system!